Not to be confused with Jason Scott Lee or Jason Lee Scott. Jason Michael Lee (born April 25, 1970) is an American actor, photographer, producer, skateboarder and comedian. He is best known for his roles as Earl Hickey in the television comedy series My Name Is Earl, David Seville in the live action/CGI Alvin and the Chipmunks, and the voice of Syndrome in The Incredibles. He is also known for his roles in Kevin Smith films such as Mallrats, Chasing Amy, Dogma, Jay and Silent Bob Strike Back, Jersey Girl, Clerks II, and Cop Out. A former professional skateboarder, Lee is the co-founder and co-owner of Stereo Skateboards, a company that manufactures and distributes skateboard decks, equipment and apparel. Lee was born in Santa Ana, California on April 25, 1970. His father, Greg, was a car dealership manager and his mother, Carol, a homemaker. Lee was raised in Huntington Beach and attended Ocean View High School. Before he became an actor, Lee was known as a professional skateboarder in the late 1980s and early 1990s. In 1992, he founded Stereo Sound Agency, known as Stereo Skateboards, with fellow skater Chris "Dune" Pastras. In 2003, after the company had been defunct for a few years, the pair successfully revived the company. As of October 2013, Lee and Pastras remain on the professional "Classics" team roster. Lee was featured in the skateboarding promotional video, Video Days, filmed for the skateboarding company "Blind Skateboards". In 2004, Lee's skateboarding was featured in Way Out East!, a film produced by Stereo Skateboards. 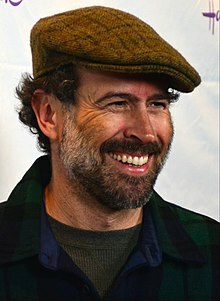 In August 2012, Lee was also featured in a brief video on the skateboard website The Berrics entitled "Jason Lee decided to come to the park." In August 2012, Lee participated in the ninth annual Stand-Up for Skateparks Event, which he chaired with Tony Hawk. The event is held annually by the Tony Hawk Charitable Foundation and seeks to "help create free, quality public skateparks for youth in low-income communities." In October that same year, a video was released by the Keep A Breast Foundation, featuring various skateboarding identities, including Lee, together with Pastras. The video, contributing to the Foundation's aim to prevent and raise awareness of breast cancer, promotes the "I Love Boobies" bracelet. It also features Clint Peterson (Stereo) and Giovanni Reda (WESC), who are both teammates of Lee. Lee later worked with Tony Hawk when he lent his voice and likeness to Tony Hawk's Project 8 to become a playable character. Lee then voiced Coach Frank, a character created during the development of Stereo, in Skate 3. Professional skateboarder and owner of the Girl and Lakai Limited Footwear skateboard brands Mike Carroll has cited Lee as one of his skating influences. After taking some minor acting roles in 1992–1994 (including the music video for the Sonic Youth single "100%", a small part in Mi Vida Loca, and a bit part as a dance instructor on Chance and Things), Lee left professional skateboarding for a full-time acting career. His first major movie role was in Kevin Smith's Mallrats, which became a cult hit. This started a friendship that subsequently led to appearances in many of Smith's films, including Chasing Amy, Dogma, Jay and Silent Bob Strike Back, Clerks II, and Cop Out. Lee won an Independent Spirit Award for his role in Chasing Amy as Banky Edwards. Lee graduated to leading man roles in Heartbreakers, Stealing Harvard, and A Guy Thing. He has had supporting roles in Vanilla Sky, Almost Famous, Dreamcatcher, Big Trouble, The Ballad of Jack and Rose, and Mumford, as well as a minor role in Enemy of the State. Lee also voiced Syndrome in The Incredibles and Jack-Jack Attack. He reprised the role as a "robot copy" of Syndrome in Disney Presents Pixar's The Incredibles in a Magic Kingdom Adventure. Lee is also the voice of Underdog in Underdog and portrays Dave Seville in the live action/CGI films starring Alvin and the Chipmunks. In 2005, Lee was offered the lead role in My Name Is Earl. According to interviews on the first-season DVD, he passed on the series twice before finally agreeing to read for the pilot. In the series, he stars as Earl Hickey. Lee received two Golden Globe nominations for Best Performance by an Actor in a Television Series – Musical or Comedy in 2006 and 2007, as well as a nomination for the Screen Actors Guild Award for Outstanding Performance by a Male Actor in a Comedy Series in 2006. After four seasons of My Name is Earl NBC cancelled the series. On June 22, 2010, Memphis Beat premiered. In the series, Lee starred with Alfre Woodard and portrayed Dwight Hendricks. In October 2011, it was announced the series was not renewed for a third season. He also guest-starred in 2010 and 2013 episodes of Raising Hope, created by My Name is Earl creator and producer Greg Garcia. As of December 2011, Lee appeared in Up All Night, but after its second season, it was officially cancelled on May 9, 2013. In June 2013, a fourth installment of the Alvin and the Chipmunks franchise was then announced by the 20th Century Fox studio and a release date of December 18, 2015; it was titled The Road Chip. Lee's latest projects are with Amazon Studios and the Hallmark Channel. With Amazon Studios, Lee is seen in the pilot of Cocked, where he plays the character of Grady Paxson, one of three men who run a gun manufacturing company. The show premiered on January 15, 2015 and also stars Brian Dennehy, Diora Baird, Dreama Walker, and Sam Trammell. On January 25, 2015, The Hallmark Channel premiered Away & Back, a Hallmark Hall of Fame film starring Lee along with Maggie Elizabeth Jones and Minka Kelly. Lee began shooting photos regularly in the early 2000s, and became interested in instant photography. He recently released a photo book through Refueled Magazine. It consists of "184 pages of Polaroid & Fuji Instant Film photographs from 2006-2016." Printed in a limited edition run of 500 copies, the book sold out before shipping began. Lee married actress and photographer Carmen Llywelyn in 1995; they divorced in 2001. Llywelyn later cited Lee's commitment to Scientology as the principal cause for their separation. Llywelyn wrote that their relationship collapsed when she revealed to her talent manager and fellow Scientologist, Gay Ribisi (mother of actor Giovanni Ribisi), that she had read A Piece of Blue Sky, an anti-Scientology book. Two days after her conversation with Ribisi, Llywelyn received a one-paragraph "disconnection letter" from Lee and was labeled a Suppressive Person. Following his divorce from Llywelyn, Lee became engaged to actress Beth Riesgraf. Together, they have a son, Pilot Inspektor. Lee states their son's name was inspired by "He's Simple, He's Dumb, He's the Pilot." by rock band Grandaddy. Lee married Ceren Alkaç in California in July 2008; a month later, Alkaç gave birth to a daughter named Casper. The couple had their second child, a son named Sonny, in 2012. In 2017, the couple welcomed their third child, a daughter named Alberta 'Birdy' Lee. As of 2016, Lee no longer practices Scientology. Lee currently resides in Denton, Texas with his family. He is also participating in photography, and is a co-owner of the restaurant Barley and Board. 2006 American Dad! Officer Bays (voice) Episode: "Rough Trade"
2013 Men at Work Donnie Episode: "Tyler the Pioneer"
^ "Jason Lee Biography". biography.com. Retrieved May 27, 2016. ^ "Jason Lee Biography". tvguide.com. Retrieved August 25, 2012. 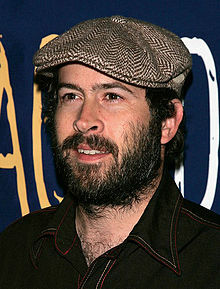 ^ "Jason Lee Biography". Notable Biographies.com. Retrieved September 20, 2016. ^ Laura Avery (2007). "Jason Lee". Newsmakers: The People Behind Today's Headlines – 2006 Cumulation. Detroit: Thomson Gale. p. 243. ISBN 9781414418865. ^ Mike Lewis (September 14, 2010). "ANTICS LICENSES STEREO SKATEBOARDS & HI-FI WHEELS". Transworld Business. Bonnier Corporation. Retrieved January 2, 2013. ^ "Blog". Stereo skateboards. Stereo Sound Agency. 2011. Retrieved January 2, 2013. ^ "Team Stereo". Stereo Sound Agency. Antics International. October 2013. Archived from the original on October 15, 2013. Retrieved October 15, 2013. ^ skatexedge31 (August 8, 2012). "Blind Skateboards – Video Days full video classic" (Video upload). YouTube. Google, Inc. Retrieved January 2, 2013. ^ skately (2012). "Stereo Skateboards – Way Out East! (2004)". skately. Skately LLC. Retrieved August 26, 2012. ^ Zynkero (April 6, 2010). "Jason Lee – Way Out East!" (Video upload). YouTube. Google, Inc. Retrieved January 2, 2013. ^ Vlady Poshyvanyuk; The Berrics (August 18, 2012). "The Berrics – Jason Lee decide to come to the park" (Video upload). YouTube. Google, Inc. Retrieved January 2, 2013. ^ Alina O (August 22, 2012). "JASON LEE TEAMS UP WITH TONY HAWK". Transworld Business. Bonnier Corporation. Retrieved January 2, 2013. ^ "Home". Stand Up For Skateparks. Tony Hawk Foundation. 2013. Retrieved January 2, 2013. ^ keepabreastvideo (October 3, 2012). "This Is My Pink Ribbon – Why Do You Wear Your Keep A Breast i love boobies! bracelet?". YouTube. Google, Inc. Retrieved October 7, 2012. ^ Christhundertrck (June 13, 2010). "Jason Lee-Awesome Stunt-Tony Hawk's Project 8" (Video upload). YouTube. Google, Inc. Retrieved January 2, 2013. ^ a b Mark Sharkey (March 17, 2010). "Skate 3 Coming May 11". Gamespy. Retrieved August 25, 2012. ^ maydaydist (February 18, 2009). "Coach Frank visit stereo headquarter" (Video upload). YouTube. Google, Inc. Retrieved January 2, 2013. ^ Blair Alley; Skin Phillips (September 4, 2012). "30TH ANNIVERSARY INTERVIEWS: MIKE CARROLL PART 1" (Video upload). Transworld Skateboarding. Bonnier Corporation. Retrieved January 2, 2013. ^ Blair Alley; Skin Phillips (September 6, 2012). "30TH ANNIVERSARY INTERVIEWS: MIKE CARROLL PART 2" (Video upload). Transworld Skateboarding. Bonnier Corporation. Retrieved January 2, 2013. ^ a b Paatsch, Leigh (March 21, 2002). "Reel Deal". Herald Sun. Melbourne, Australia. p. 38. ^ Howe, Desson (October 20, 1995). "Overcrowded Mallrats". Washington Post. p. N44. ^ Crawford, Jeff (July 11, 2001). "Hot Heartbreakers Only Mildly Amusing". Messenger. Adelaide, Australia. p. 11. ^ Dowell, Gary (September 13, 2002). "Getting into Harvard lawless school – Ivy League requires some stolen green in likeable comedy". The Dallas Morning News. p. 1J. ^ Burr, Ty (March 21, 2003). "Bleedful Things – 'Dreamcatcher' a Jumble of Classic Stephen King Gore". The Boston Globe. p. D1. ^ Rotten Tomatoes. "Jason Lee Biography". Rotten Tomatoes. Flixster, Inc. Retrieved August 26, 2012. ^ Koltnow, Barry (January 3, 2008). "Chasing chipmunks". The Courier Mail. Brisbane, Australia. p. 34. ^ Itzkoff, Dave (January 8, 2006). "Trust Me, I'm Funnier With the Moustache". The New York Times. p. 33. ^ Nepales, Ruben V. (December 16, 2005). "Brokeback Mountain tops Golden Globe nominations". Philippine Daily Inquirer. p. 2. ^ "Golden Globes Ballot". San Francisco Chronicle. January 14, 2007. p. 24. ^ Longino, Bob (January 5, 2007). "SAG nominees have Oscar feel, diversified look". The Atlanta Journal-Constitution. p. E14. ^ a b Stanley, Alessandra (June 21, 2010). "Take Your Time, Crime Will Wait". The New York Times. Retrieved August 25, 2012. ^ Keveney, Bill (November 22, 2010). "'Raising Hope' creator Greg Garcia is not talking white trash". USA Today.com. Retrieved March 11, 2011. ^ Ross, Robyn (October 18, 2010). "Jason Lee to Guest Star on Raising Hope". TVGuide.com. Retrieved October 18, 2010. ^ Hughes, Jason (February 27, 2013). "'Raising Hope' Reunites 'My Name Is Earl' Cast For Tribute Episode". The Huffington Post. Retrieved September 11, 2014. ^ Sara McGinnis (December 14, 2011). "ALVIN AND THE CHIPMUNKS: CHIPWRECKED". She Knows. SheKnows, LLC. Retrieved June 10, 2013. ^ Germain Lussier (June 11, 2013). "Fox Dates 'Frankenstein,' 'Alvin and the Chipmunks 3′ and Animated Films Through 2018". SlashFilm. /FILM. Retrieved December 7, 2013. ^ "Amazon.com: Cocked [HD]: Amazon Video". Amazon Studios. Retrieved January 28, 2015. ^ a b "Media Release". Hallmark Hall of Fame Presents. 2015. Archived from the original on January 19, 2015. Retrieved January 19, 2015. ^ Williams, Matt. "Jason Lee's Photography of a Dust-Covered America". Format Magazine. Retrieved September 19, 2016. ^ "HOME". www.refueledmagazine.com. Archived from the original on September 20, 2016. Retrieved September 20, 2016. ^ Dawn Olsen (May 15, 2010). "Obsession With Scientology Ruined Actor Jason Lee's Marriage". technorati.com. Archived from the original on September 11, 2012. Retrieved August 17, 2012. ^ "Carmen Llywelyn, ex-wife of My Name Is Earl star Jason Lee, says Scientology makes getting a divorce 'difficult'". dailymail.co.uk. July 8, 2012. Retrieved August 25, 2012. ^ Llywelyn, Carmen (June 23, 2015). "Why I Left Scientology". Gawker. Gawker Media. Archived from the original on June 23, 2015. Retrieved June 24, 2015. ^ "Ex-Scientologist Carmen Llywelyn blasts 'cult' and her treatment after divorce with Jason Lee". independent.co.uk. June 30, 2015. Retrieved May 27, 2016. ^ a b "EXCLUSIVE: My Name Is Earl Star Jason Lee Has Baby Girl". usmagazine.com. August 22, 2008. Archived from the original on January 24, 2009. Retrieved August 25, 2012. ^ "Jason Lee Baby Name Mystery Solved! Pilot Inspektor's Sister Is..." namecandy.com. November 14, 2011. Retrieved January 16, 2015. ^ Julie Jodan (November 11, 2011). "Jason Lee & His Wife Get Married – Again!". People. Retrieved June 23, 2012. ^ Sarah Michaud; Julie Jordan (June 26, 2012). "Jason Lee Welcomes Son Sonny". people.com. Retrieved August 17, 2012. ^ "Instagram photo by Ceren Alkaç • Feb 5, 2017 at 4:28pm UTC". Instagram. Retrieved February 6, 2017. ^ a b Button, Sara (September 16, 2016). "Checking In With Jason Lee". The Dentonite. Retrieved September 17, 2016. ^ Bueno, Antoinette (September 20, 2016). "Jason Lee Reveals He Left the Church of Scientology". Entertainment Tonight. Retrieved September 20, 2016. ^ Thill, Scott (June 18, 2015). "Cartoon Network Will Launch 'We Bare Bears' Series in July". Cartoon Brew. Retrieved September 20, 2016. Wikimedia Commons has media related to Jason Lee (actor). This page was last edited on 26 April 2019, at 00:38 (UTC).